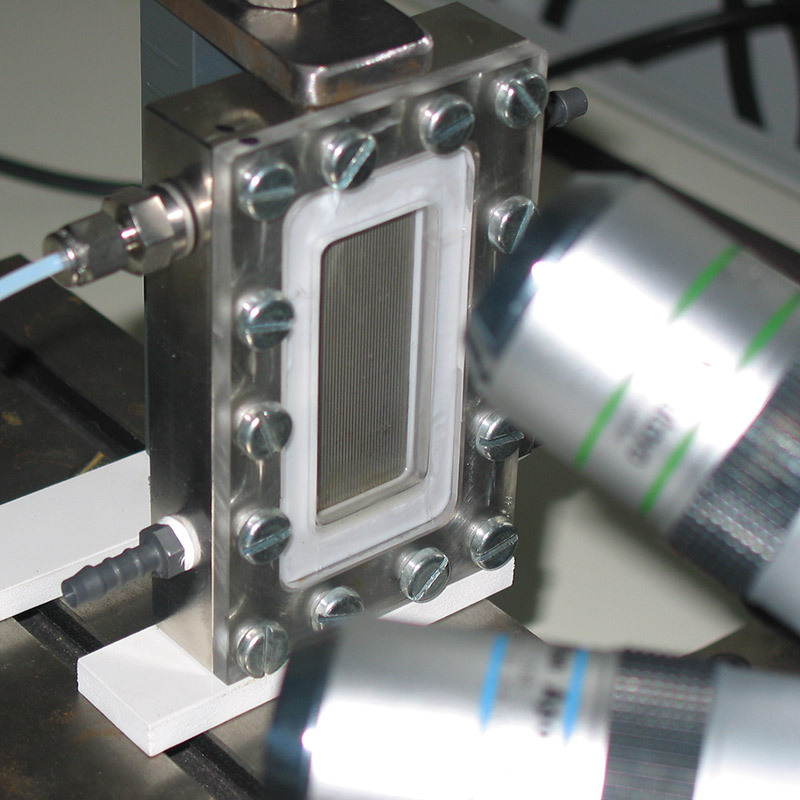 In falling film reactors used by the chemicals industry, the geometrical dimensions of the reactor metal sheet are measured using confocal sensors. The filling level of the liquid is also measured during this test. The channels have dimensions of 200µm depth and a width of 400µm. The advantages of using a compact beam path are fully exploited in this application example.